"Sampath Speaking" - the thoughts of an Insurer from Thiruvallikkeni: UNICEF ambassador who advised 'crackerless Diwali' ~ pollutes with fireworks display !! UNICEF ambassador who advised 'crackerless Diwali' ~ pollutes with fireworks display !! Thamizhan is a 2002 Tamil political thriller film directed by debutant Majith and produced by G. Venkateswaran. The film had Vijay in the lead role with Priyanka Chopra, making her debut as a lead actress. The film's score and soundtrack were composed by D. Imman. It was dubbed in Telugu as ‘dammunte Kasko’. For those with some memory – a couple of months ago ! ~ responding to petitions seeking a ban on firecrackers in India, Supreme Court on 23rd October imposed several restrictions on firecrackers, refraining from a blanket ban. Apart from setting a window of only two hours, 8 pm to 10 pm, for fireworks during Diwali, the apex court also said that only Green Crackers will be allowed in the country. Green crackers are low pollution firecrackers that scientists have developed in recent years but not yet available in local markets. Ms. Chopra Priyanka, a brand ambassador for Breathefree, starred in a a public service initiative for asthma patients organised by Cipla, which manufactures inhalers. On Deepawali morning, Breathefree posted a video of Ms. Chopra on Twitter as part of its #BerokZindagi (Unstoppable Life) campaign seeking people to desist crackers. She pleaded for asthma patients and pets .. .. ‘let us celebrate crackerless Diwali’ thundered some cine stars. Priyanka Chopra is stated to be the queen of Bollywood. She was the winner of the Miss World 2000 pageant. One of India's highest-paid and most popular celebrities, Chopra has received numerous awards, including a National Film Award and Filmfare Awards in five categories and Padma Sree too in 2016. 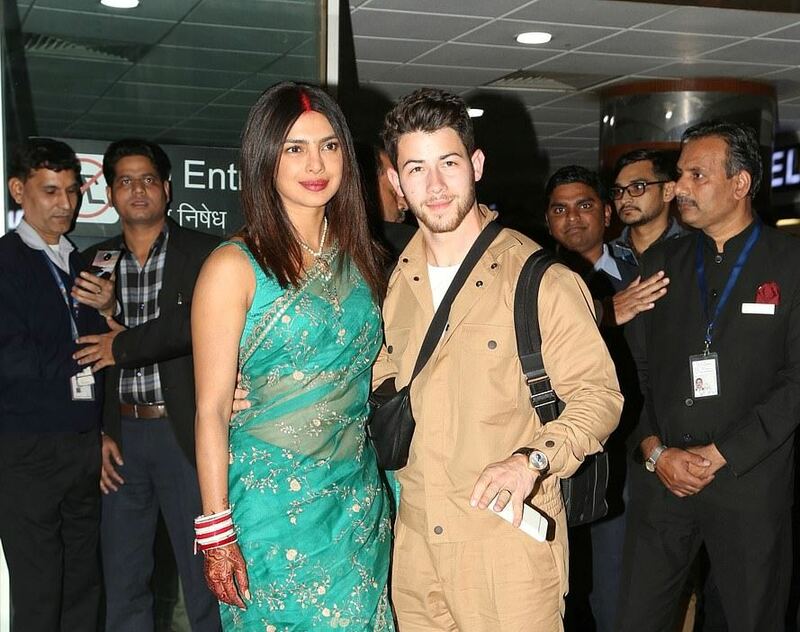 So the regal Umaid Bhawan Palace in Rajasthan made for the perfect setting as the 36-year-old actress tied the knot with 26-year-old singer Nick Jonas in a multi-day ceremony this weekend. The sprawling residence, which was built between 1928 and 1943, is divided into a private residence for the Jodhpur royal family and a luxury five-star hotel boasting 64 utterly breathtaking Art Deco-styled rooms and suites. A large hall at the palace in Jodhpur where the wedding party is staying was decorated with marigolds and the theme for the guests was 'pink, orange and purple.' The second wedding also featured a 40-ft high mandap, or canopy, adorned with red flowers. The haldi ceremony is when the bride and groom have their hands and feet, and sometimes their faces and necks, covered with a paste made from tumeric. It is a rich man’s place. Stays at the hotel vary throughout the year, but rates start at around Rs.25000 approx ( £280) for a room with a king bed and go up to Rs.11.10 lakhs ( £12,270) a night for the grand presidential suite. A key feature of the suite is its 447-square-foot bathroom that includes a hot tub, steam room and most impressively, a bath designed by the late Polish artist Stefan Norblin, which is carved out of a single piece of pink Italian marble. Before one proceeds further, read media reports that Chinese authorities are now pushing for a 'comprehensive wedding reform' to crack down on extravagant ceremonies. Current 'lavish and wasteful' wedding practices including sky-high monetary gifts and vulgar hazing rituals have encouraged 'rampant money worship' and 'declining morality,' according to the Ministry of Civil Affairs. Couples are now encouraged to celebrate their big day in a more civilised, traditional and frugal way, the ministry said at a conference on Friday. Wedding costs in China have skyrocketed over the last two decades, especially in rural areas. People have increasingly found the need to compete with neighbours and friends in spending more money on weddings including expensive receptions, lavish outfits and overseas wedding shoots. Officials in some cities last year placed a cap on increasing 'bride prices' - money paid by the groom's parents to the brides' family, saying the practice has been getting out of hand, reaching more than 100,000 yuan (£11,000) in some poorer rural villages. At the same time, hazing rituals - pranks couples are put through to help them relax before the wedding ceremony - have often resulted in violence and assault. The current issues 'not only hinder growth and poverty alleviation in rural areas, but also affect the harmony of families and healthy development of society,' the ministry said at a national conference in Jinan, Shandong province. Back home, during the Hindu festival time of Deepavali, UNICEF Goodwill Ambassador Priyanka Chopra rooted for a cracker free Diwali and better quality air in many campaigns. In one of those, she even declared that she is asthmatic and appealed to people to celebrate Diwali with “lights and laddoos and love, and not pollution”. 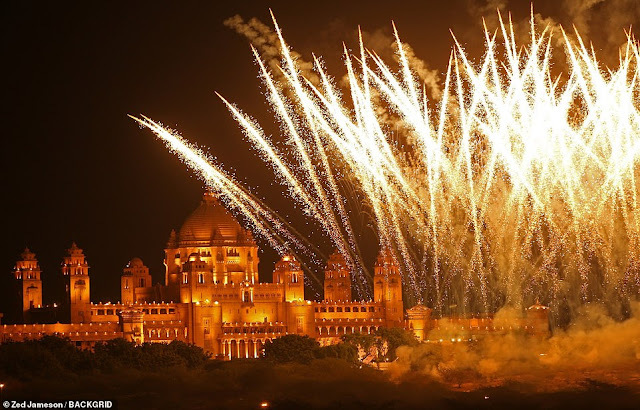 However, at her own wedding day, skies over Umaid Bhawan in Jodhpur lit up with fireworks. But little did they know that the sparks would fly all over the nation through social media turning into protests. PETA India took to Twitter to slam the couple. 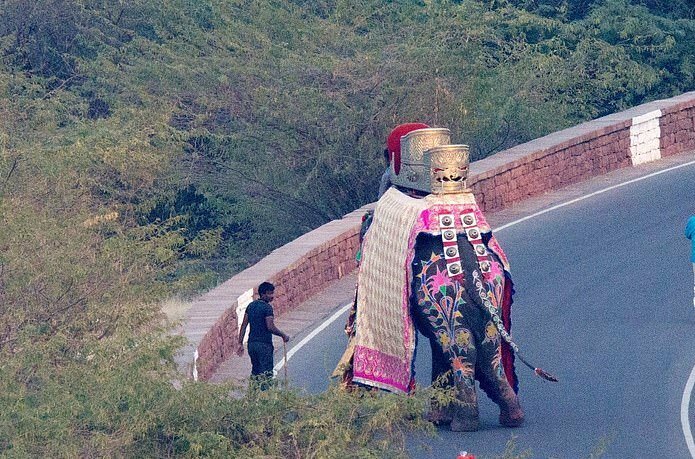 With that, PETA also shared its video from four years ago, highlighting the woes of the animals, titled, 'Captive Elephants in Jaipur: PETA India's 2014 Inspection'. Others tweeted - Wonderful display of secular, non polluting, noiseless, animal friendly, pre 8 pm fireworks in Bollywoodstan. Celebrities they can talk, they can do anything ~ according to the News Minute, Tamil Nadu’s festival of lights saw the police land on people’s doorsteps to crackdown on those who violated the Supreme Court order on timings for lighting fireworks. As many as 2,100 cases were registered and at least 650 people were arrested by the police across Tamil Nadu on Tuesday for bursting crackers outside of the time limit set by the state government -- 6am to 7am and 7pm to 8pm for Deepavali. Have something to say ! ? ~ but don’t get branded as Hindutva brigade by voicing anything like this ..